Our school, SNG, is accredited and is able to get you a CoE. You want to learn Japanese in Japan; or maybe you plan to move in order to work in Japan? In these two cases or for many other reasons, your stay in the land of the rising sun will exceed the length provided to you by a tourist visa and you will need to apply for a student visa. 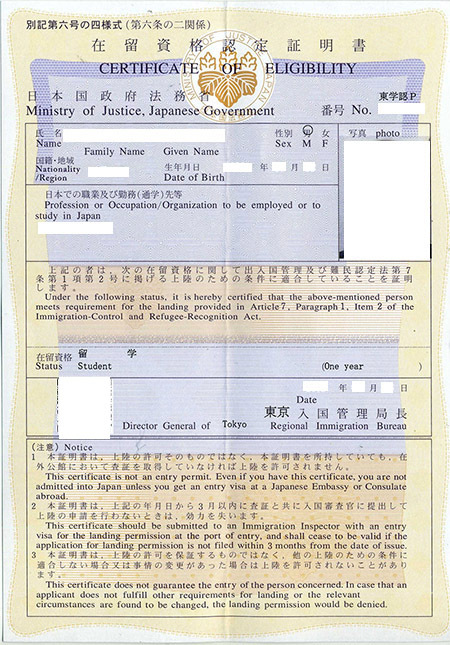 The obtainment of a Certificate of eligibility for Japan (CoE) should be the first step of your application. How to get a Certificate of Eligibility? The request must be made from Japan and it can be done by a third party for you. The school where you are going to study, the company for which you are going to work etc., are all able to apply on your behalf at the Immigration Bureau. Depending on your country of origin, the documents required in order to submit the application may vary. Do not hesitate to consult the website of your Japanese Embassy for more information. Usually, the obtainment of a CoE takes 2 to 3 months or more. Thus, it is important to start your application early on and plan your departure accordingly. Japanese schools in Japan often ask you to complete the registration form at least 6 months before the beginning of the term. 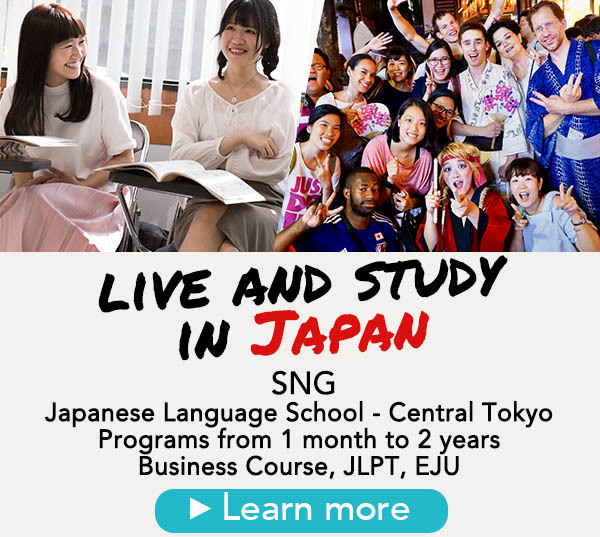 Finally, if you want to study Japanese in Japan and are planning to stay for more than three months, be aware that not every school is accredited to deliver a CoE. Remember to inform yourself before registering. SNG is a Japanese school in Tokyo. Our school is accredited to apply for a CoE. Feel free to inquire about our Japanese programs and to contact us through our contact form should you have any questions. Once your application is accepted, we will provide you with a list of necessary documents. Afterwards, SNG will take care of the application and will do its best to obtain your CoE on time. Previous post: The incoming student orientation day in Okutama, Japan !